The Mansions of Long Island are some of the most spectacular venues in the world to host a wedding celebration and reception. They are almost too numerous to mention. The Mansion at The deSeversky Conference Center in Old Westbury, NY; The Glen Cove Mansion in Glen Cove, New York; The Royalton Mansion at Roslyn Country Club in Roslyn Heights; as well as the Conservatory Ballroom of Carlyle on the Green in Farmingdale, NY and the Grand Ballroom of The Carltun at Eisenhower Park in Nassau County...all of these elegant establishments have their own unique characteristics which make them the finest catering establishments anywhere on the Island east of New York City (NYC). Over the years I have garnered extensive experience creating wonderful wedding photography at all of these venues but one location stands out from all of the others. That one is Oheka Castle in Huntington, NY, located right on the Nassau County/Suffolk County border. Built on the highest point of Long Island the castle offers panoramic views in every direction, some of the most elegant interior architecture and decor one will ever encounter and some of the most beautiful gardens and grounds for wedding photography. 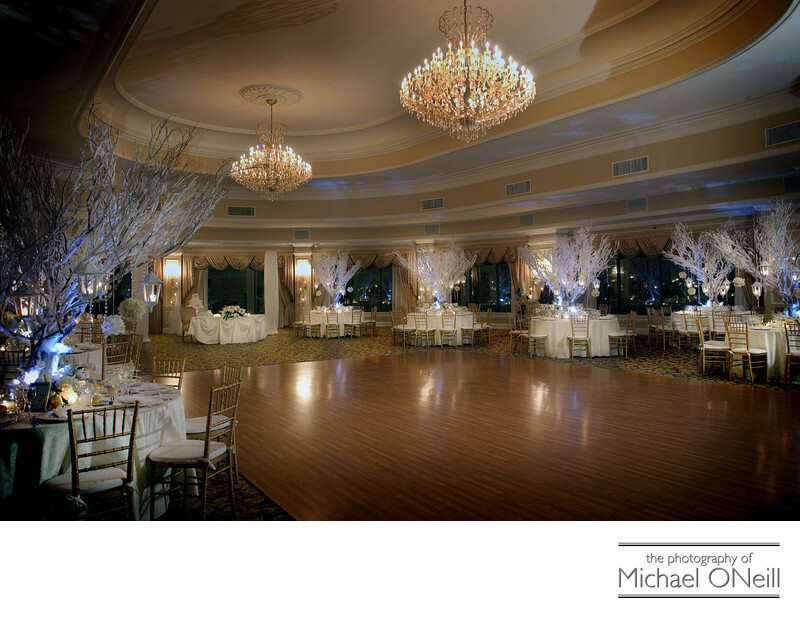 The image you see here is of the main ballroom inside Oheka Castle. The already magnificent room has been accented by beautiful linens and some truly unique table centerpieces. If you are planning a wedding at Oheka Castle, or at any of Long Island’s other beautiful mansions, give me a call here at my East Northport studio and gallery. I would love the opportunity to discuss all the details and plans you have for your wedding event.